Heritance is the cornerstone Napa Valley brand of the Taub Family Vineyards. A commitment to classic Napa Valley style sets Heritance wines apart and deeply roots them in America’s most celebrated wine region. The name Heritance is fittingly derived from a combination of “heritage” and “inheritance,” signifying the start of a new tradition and the continuation of an enduring legacy. 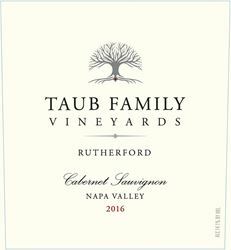 The valley oak pictured on the label, a familiar sight in any Napa landscape, represents the Taub family’s deep wine industry roots in California and further reinforces the wine’s connection with its provenance. The diamond at the base of the tree symbolizes the seed that remains planted for future generations. Under the experienced eye of chief winemaker Tom Hinde, Heritance wines uphold a tradition of elegance. The winery represents the best sites in St. Helena, Yountville, Oakville and Rutherford – including Cabernet Sauvignon from the renowned Beckstoffer Vineyard Georges III.